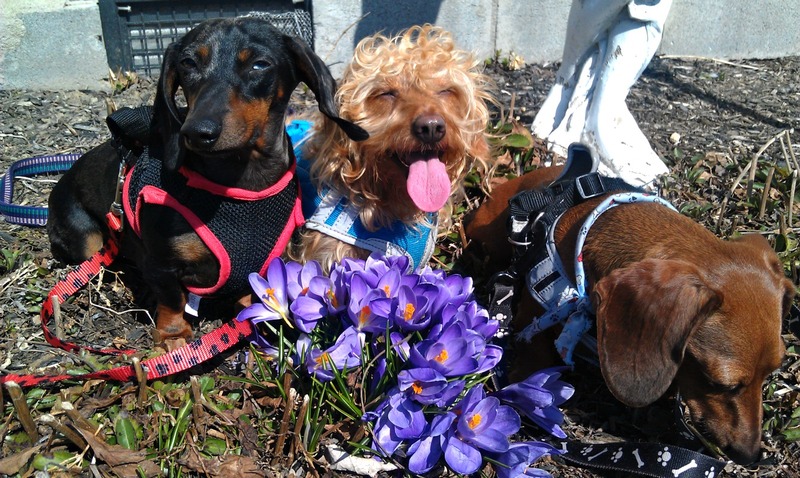 My Three Doxsons: Spring is about to Spring!! Spring is about to Spring!! Spring is definitely on its way, as the first Crocuses are signaling. This signal is lost to the pack, just returned from our walk. Feeling a little pooped are we? Fooze tends to be a little camera shy, hence the bowed head. Why would a dog not like having his picture taken? Its certainly not a bad hair day. Anyway we are looking forward to all the flowers that will be coming up and spending more time outside. Happy Spring!